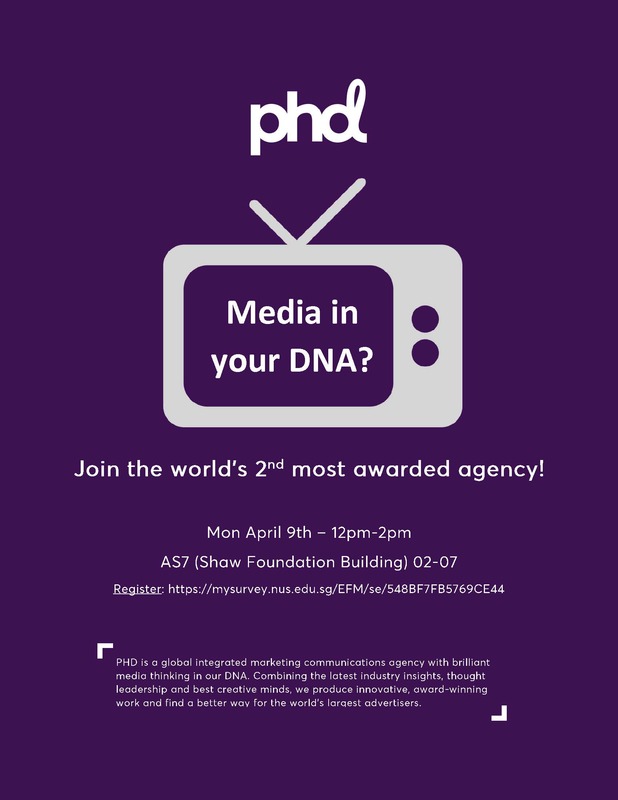 PHD Media (under the big Omnicom group) will be having a coffee chat and inviting all students who are interested to join and explore! They will be sharing about the media landscape in this session and opportunities. Currently, they have 5 full time positions available as media executives and one analyst position (open to PG with technical background) and are looking for up to 4 interns in summer!